Random question for you. Have you taken a good look at your home recently? By this, I mean, strolling to the edge of your property and taking an objective look at what people passing by may see? All sentiment aside, if a potential buyer or renter would do a drive-by, would they find the appearance of your home appealing? Would an online street view of your property draw curiosity? I'm not trying to be a Nosy Nellie by asking these questions; I'm simply highlighting the importance of curb appeal. If you're listing your home for sale or placing your property up for rent, the goal is to make a positive first impression. While scrolling through MilitaryByOwner listings, I found a handful of dreamy homes in Virginia near Naval Air Station Oceana. A quick look at the online curb appeal of these pleasing palaces intrigued me to find out more. Follow along as we tour three enticing estates! Virginia. Full of history. Full of different types of neighborhoods. When orders come up for an assignment to Hampton Roads, it's often difficult to know which neighborhood may be the best fit for a busy military family. Tucked near the 4th hole in Broad Bay Point Greens, this corner-lot golf course home offers a safe and serene setting to savor the amenities of the Tidewater area. A well-maintained walkway leads past tall growth shade trees and manicured arbors and shrubs. Rounded tiered steps lead to a double door entry with custom canopy. Both wings of this over 3200 square-foot home strike an artful balance of harmony and design. The sense of uniformity is mirrored by bay windows flanking the entry and arched dormers gracefully peeking from the roof. With 4 bedrooms and 3½ baths, this open concept home offers plenty of room for a military family. 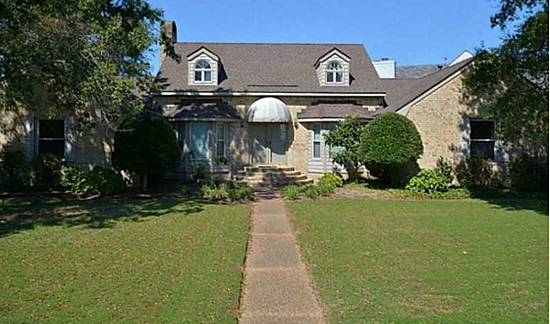 Listed for sale or for rent, an eager house hunter may appreciate the updates throughout. Unwind at home with the backyard framed by the greens, along with front yard water views of Broad Bay and First Landing State Park. Convenient to shopping, dining, and NAS Oceana, this grand home is an inviting retreat. With one look at the lush lawn of this cul-de-sac property, a person may picture their family happily engaged in play. Blowing bubbles. Twirling cartwheels. Racing around with a game of tag. If raindrops begin to fall, this 5 bedroom, 3 bath, 3600 square-foot home offers plenty of room for the children to continue their fun and games indoors! A pair of brick gateposts define the edges of the expansive driveway forming a half circle in front of this estate. Trimmed shade trees, shaped hedges and flowering shrubs add premium landscape charm to this elite Kings Gate neighborhood manor. The classic red brick exterior, crisp shuttered windows, and white front porch columns combine to offer a warm modern-Colonial welcome. 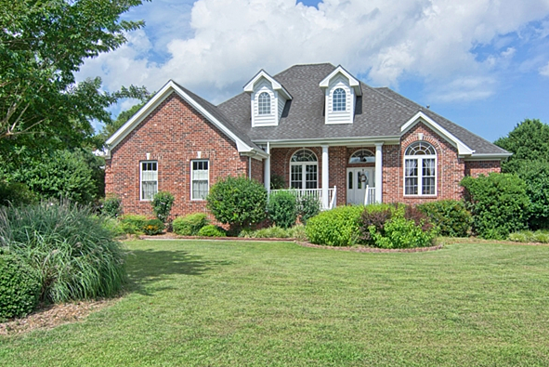 A potential buyer or tenant will enjoy the impressive upgrades throughout the home. Around the back, the fenced yard provides additional room for children and pets to play. 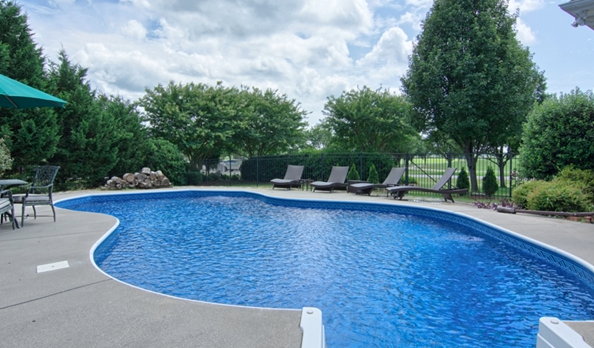 Secure fencing surrounds the sparkling in-ground pool, along with ample patio space to grill and gather. 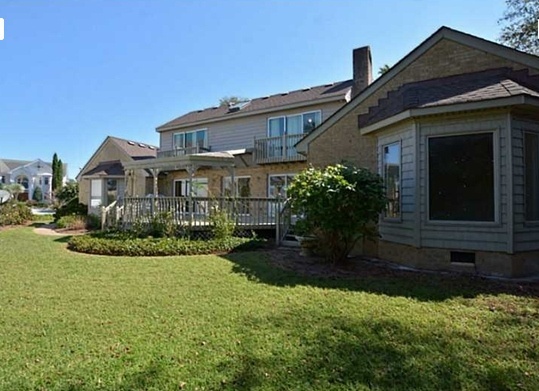 Located around 10 miles from NAS Oceana, this enchanting abode offers an easy commute. Spending less time in traffic may mean more quality time at home, surrounded by family and friends! Perhaps an easy place to find inspiration for adding curb appeal to a property is by touring a neighborhood surrounding a golf course. With the perfectly maintained greens and fairways of the course, the homes nearby often echo splendid landscaping and exterior charm. This stellar 3 bedroom, 3 bath Heron Ridge Golf Club home is a shining example of a property that draws immediate attention. The rolling green of the manicured lawn of this estate leads to brimming islands of trees, shrubs, grass, and cheerful flowers. An artsy-craftsy military spouse may picture the front porch railing adorned with bunting for a long-awaited homecoming. Or, maybe the elegant arched windows could be framed with pine garland and white lights at Christmas. The front porch itself seems to invite friendly neighbors to linger in a slow rocking chair. At nearly 2800 square feet, this custom built home features a spacious open layout with sun drenched views of the delightful backyard pool and the 18th hole. The screened-in back porch encourages relaxation al fresco without interruption by pesky insects. With NAS Oceana only about 9 miles away, a person may hit the putting green on the way home from work! Adventures await at this Southeast Virginia Beach estate. 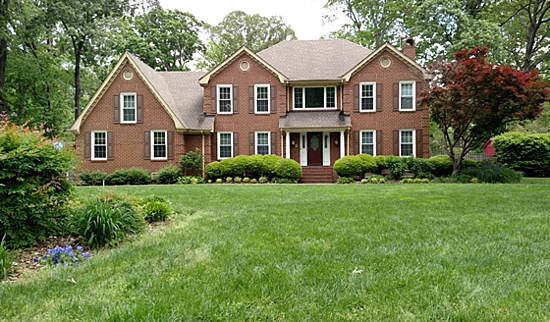 Imagine a well-kept sidewalk that leads past luxurious landscaping to an elegant front entry. Visual elements such as those may catch a person’s eye. Also, positive traits showcase the pride in the property that the homeowner must have. 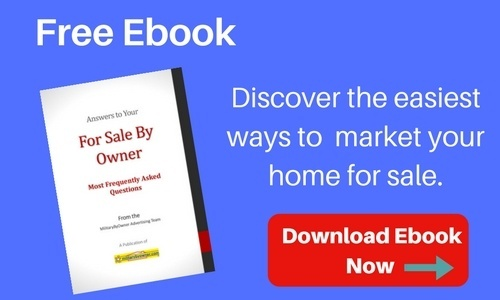 When listing a home for sale or for rent on MilitaryByOwner, consider all of the little details that may be combined to create an unforgettable sense of curb appeal. Homes sold or don't see exactly what you want? 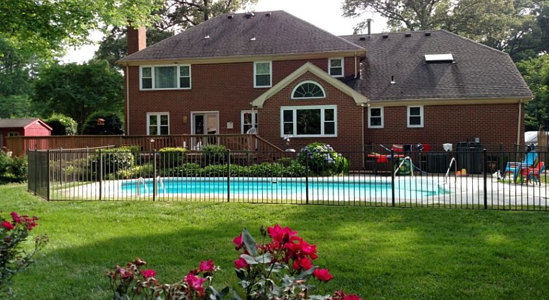 Check out other Virginia listings on MilitaryByOwner right now!